← I’ll Have the Menopasta w/ a Side of Heatballs, please! I promise, for now, this is the last of the apple recipes! For now. Maybe. I can’t guarantee it! I have many (seriously, I have loads) cookbooks in my bookcases(s). Yet, somehow, when it’s time to find inspiration, I often end up on the Internet. In an effort to justify the purchase of all these cookbook purchases (some dating back to longer ago than I dare think), I have decided to get inspired by them instead of the Web. Well, I try anyway! This recipe was taken from Barry Bluestein and Kevin Morrissey’s “The Complete Cookie, cookies for every occasion”. I’m a fan of cookbooks that have lovely photos, so this one, which I’ve had since January 31, 1997(! ), must have been purchased through Book of the Month Club. There are no pictures, no drawings, nothing. Oh, sorry, I lied. There are a grand total of 8 photos in the middle of the book. 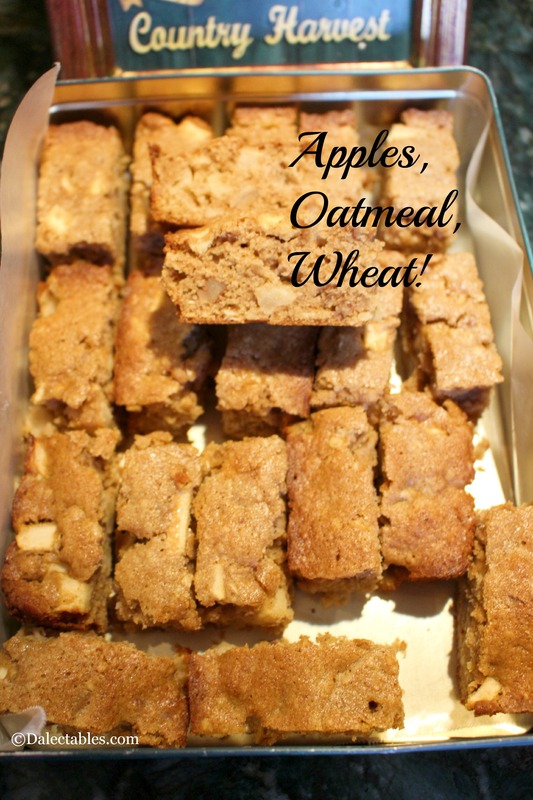 That said, they do have quite a few nice cookie recipes, including this Apple Oatmeal Wheat Fingers one. I was astounded at how just 1/4 teaspoon of allspice could completely change a flavour profile.. We all know that apples and cinnamon go together but who knew that adding this smidge of allspice would take it to a whole ‘nother level? Not moi, that’s for sure. You can find the recipe right here. I hope you enjoy them as much as I did. They will definitely be ending up in my tin again! 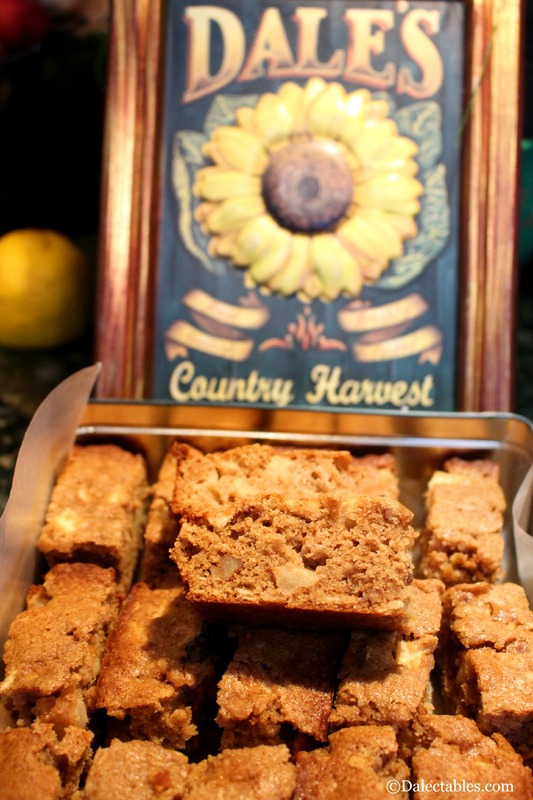 This entry was posted in cookies and cakes, My tin and tagged apples, healthy snacks, oatmeal, what's in my tin, wheat germ. Bookmark the permalink. I love this idea. Lots of fun. They remind me of something my grandmother used to make. Hers were to heavy on the clove. Oh they are… they definitely are! Mmm, they look really succulent and tasty. They are indeed moist and tasty….